Many interesting strongly interacting Quantum Field Theories are not amenable to analytical treatment. 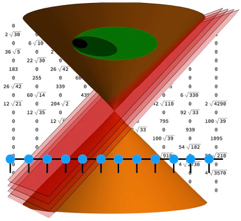 This workshop will focus on systematic numerical approaches to such theories relying on the quantum Hamiltonian, including Truncated Spectrum Approach, Light Front Quantization, Matrix Product States and Tensor Networks. Such methods provide a viable alternative to Lattice Monte Carlo simulations. Their advantage is the ability to access real-time observables, and to study Renormalization Group flows originating from strongly-interacting fixed points.